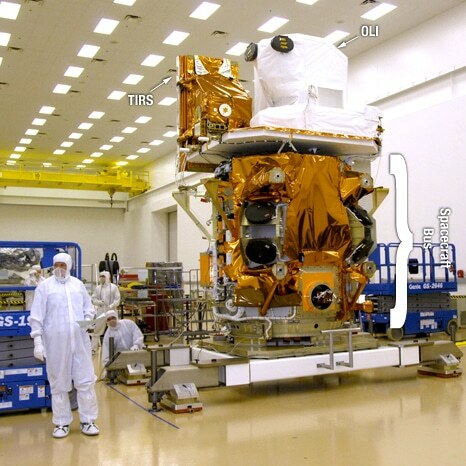 Last week we mentioned that it would be useful to have a table of imaging satellites with some of the specifications of most interest to users of Google Earth. We couldn’t find any site with a single list in table form, so we decided to create our own. The information comes from three main sources: Wikipedia, DigitalGlobe’s website and Sat Imaging Corporation’s website. We make no guarantees about the accuracy of this data. Most of the satellites capture imagery in high resolution in grayscale (panchromatic) and lower resolution in each of the three primary colours and the images are combined to produce a high resolution colour image. Orbits are typically not perfectly round and the earth itself is not perfectly spherical, so altitudes listed are averages. GeoEye-1 apparently had its orbit changed to a higher orbit in 2013. As far as we know, all the satellites can capture imagery in various infra-red bands that are typically lower resolution than the colour bands. There is significant variation between satellites as to which infrared bands they can capture. There are differences in how the satellites capture imagery, such as whether they use a single sensor, a row of sensors or a sensor array. Most satellites capture imagery in strips, which have a specific ‘swath width’ for a given satellite. The best quality image is usually captured straight down from the satellite (nadir) but most satellites are capable of rotating so as to be able to capture imagery to either side of their orbit. How fast they can rotate varies by satellite. Most satellites have a limit on how much imagery they can capture at a time. This is due to data storage and communication limitations. Satellites vary as to how accurately they can report exactly where they were and what direction they were pointing when they took the photo. The mass of the satellites varies considerably. In some cases the ‘satellite’ listed is actually an instrument on a larger satellite (ASTER for example). Each satellite crosses the equator at a specific time. 2. Acquisition speed. (How quickly a satellite can image a given area when required such as after a natural disaster). 3. Repeat acquisition. (The frequency with which it can image a given location). 4. Area covered. (Higher resolution typically means smaller coverage footprints, so lower resolution can be an advantage at times). 5. Consistency. (This is important for long term environmental monitoring). 6. Global coverage. (The ability to image the whole globe on a regular basis). Commercial satellites tend to be more interested in 1. to 4., whereas government programs are more interested in 5. and 6. DigitalGlobe’s satellites are mostly expensive high resolution satellites whereas Planet Labs has sacrificed resolution in order to be able to make large numbers of cheap satellites, which allows them to cover more area quicker and repeatedly. The Landsat, SPOT and Sentinel satellites are designed for long term, regular, consistent coverage for environmental monitoring. The Sentinel satellites are essentially a continuation of the SPOT satellites with their orbits chosen to match. Where does Google Earth imagery come from? The main suppliers of satellite imagery to Google Earth at the current point in time are Digital Globe and CNES/Astrium, so almost all satellite imagery comes from their satellites. The low resolution global mosaic is Landsat 7 / 8 imagery, which is also used to fill in the gaps where there is no higher resolution imagery. Imagery from the SPOT satellites is also used for filling in gaps and can be recognised from the copyright notice “CNES/Spot Image”. South America has a lot of imagery dated 1970. We are not sure which satellite it comes from, but we guess it may be from one of the early Landsat satellites and the date is only approximate. Landsat, ASTER and Sentinel imagery is free to the public and can be downloaded and viewed in Google Earth. Google Earth includes aerial imagery (captured from aircraft not satellites) from a number of sources. Landsat 8. Image from Wikimedia commons. An excellent article Tim. Thank you very much for compiling this list. Biased table. No Russian, no Israel, no Indian satellites. There is LandSat-1, but there are not Corona’s. What about Spin-2 satellite program, for example (Russian remote sensing satellite was sold to USA in 1990’s)? Yes, it is biased towards satellites that we see imagery from. Do you know whether Russia, Israel or India make any of their imagery available to the public? http://zaomkt.ru – official distributor of imagery from Russian and BeloRussian satellites Kanopus-V1 and BKA, respectively (2m panchromatic resolution). Archive available.